I'm looking forward to a new Muppet series too. But it needs to be fresh and new, perhaps with them going back to their roots in a way. The 2015 series was more like a Muppets doing a mockumentary, ala The Office and P&R, which isn't bad, but it becomes formulaic to the audience. Now what I could've done as a screenwriter (which I want to do someday) is maybe let them do a mockumentary where they tour around the world or something, the hard way if you know what I mean. We would have Kermit proudly saying they will move like nomads to audiences all over the country, all over the WORLD: we will chase snails, leave trails, eat bloody pudding, drink the best sake, meditate their foamy souls with Brewster by the Ganges, dance with concubines in Araby, perform tribal dances at the foot of Kilimanjaro, and watch the aliens die on Koozebane, and then in a twist we would have Sam replying with "What the **** was that all about? ", the same question Kermit asked in the Muppet Show Pitch Reel. Then Crazy Harry would literally blow up the enter theater and the Muppets would take the studio brick-by-brick with them, Miss Piggy would argue over what cosmetics to take with her, and the gang then takes off to places around the world, with every episode centering around them trying to perform their usual schtick (while bringing back the explosions and over-the-top violence), add new tricks, have Dr. Teeth and the Electric Mayhem perform a live concert, and a plot which may involve the Muppets getting themselves in a jam (that could also be literal). That's what I would do if I was at the helm of this new series. A more back-to-basics approach, while crossing over with something like Josie and the Pussycats and Globetrekker/Carmen Sandiego. Froggy Fool, ConsummateVs and DMHFan like this. I'd like to see a muppet travelogue series where each episode has them visit a new place and show how they experience the local cultures. Bliffenstimmers and Prof Bunsen like this. When may we see a teaser trailer for this? Disney plus debuts Fall 2019 do we know when the show debuts? 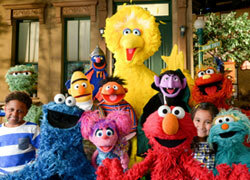 And if this show does well in ratings or viewership will we possibly get a Muppets theatrical film again? First, the show still hasn't even been announced. The only news I am aware of was a web article that said we would probably see a show. Second, if there is a show it looks like Disney has decided to push the Muppets back into the public eye without it having to be connected to anything. Even when Kermit was on James Corban and Jimmy Falon he didn't plug his Winter of Oz gig. He was just there to be there, which is nice. Disney seems to be treating the Muppets like actual actors now and having them do stuff as if they were real, which is what they should have done all along. Fozzie is doing voice work for Disney, credited as Fozzie Bear in commercials. Kermit is acting in plays. They did live shows with the EM and the Muppets as if they were just a group of people. Disney is doing a slow build up instead of what they did with The Muppets and Muppets Most Wanted. Those projects saw a big push in media, and then nothing afterwards. Then another big push with media... and nothing afterwards. The more recent publicity just has them making appearances and putting them back in the public eye doing fun stuff instead of plugging a project and then going away. Also, remember they are still getting audiences use to a new Kermit. Notice how slow Matts introduction as Kermit has been. The whole public relations nightmare that was Steve Whitmire fighting back, the Henson's taking some shots, Steve basically begging to get his job back making statements about being able to jump back into the role 2 weeks before the Hollywood Bowl show. That was a mess so we saw the Muppets cool it for a bit. Now things are settled and Disney is ready to get Matt's Kermit out there. Once they feel we are use to him (by we, I mean the general audience that doesn't know the ins and outs of the performers) we will see a new show or possibly movie. I say that by the end of this year we will get an announcement of a new project for 2020. Froggy Fool, ConsummateVs, LittleJerry92 and 5 others like this. IIRC, Kermit said that there was exciting news coming this year, so I'm unsure what/when we will hear about that. Curious to find out what the big announcement from Kermit could be. if the show wasn't announced then why was this thread started with the title, "New Muppet series in development for Disney's 2019 streaming service"
if it hasn't been announced for all we know were getting a theatrical movie maybe? The Hollywood Reporter is a very accurate Hollywood trade paper trust me I am a star wars fan who follows spoilers and production Hollywood Reporter and Deadline are spot on just look at the Rogue One reshoots the trade papers nailed that stuff. All the articke says is a quick line that says "sources say" in regards to a Muppets Reboot. Nothing official has been announced at all in anyway. Again, this could be part of a marketing ploy. They put the Muppets out there with no.project just to have them do stuff. They see how people respond, then they outline the show and annouce it. Prof Bunsen, Froggy Fool and Pig's Laundry like this. Well I just went on to www.Empireonline.com Empire Magazines website Its a great British Film and TV Magazine I subscribe too when I clicked on the article on Empire it didn't work there was an article about how the Muppets have a new show coming to Disney plus written in the last 24 hours from Cinema Blend. so I went on MSN typed in in Muppets and got a ton of recent articles on the new Muppets show. Josh Gad is producing and heavily involved and supposedly is a sequel to Muppets Take Manhattan! I'm thrilled with this idea, personally. I travel a lot making it hard to follow network tv. I have to catch a lot of stuff online or on Netflix now. So, I'm good with it. I just hope that this new show and others will be downloadable and not just for streaming as I sometimes have limitted internet. When I found out the title of the series, I know I'll be in for something! I kinda prefer if the show is like the recent live shows at the hollywood bowl and the 02. Like call it the muppet show again. Honestly, i dont want that. Been there, done that. They need something new. The old stuff is great for live shows where they need to play their greatest hits. It also would work for online vids to drum up interest. But to revive the old Muppet Show again would seem like they are stuck in the past, unless they did so.ething dofferent with the same setting. If they showed us the behind the scenes and rehearsals instead of the actual stage show that could be interesting. LittleJerry92, Froggy Fool, DMHFan and 1 other person like this. So, if this news is even slightly true I think it has some promise. If it's a limited series with 6-10 episodes (and then they could do some other pastiche next time for 6-10 episodes) I could see it working. I am intrigued/puzzled with the time frame as post Muppets Take Manhattan - maybe it means they want to do a period piece and poke some fun at 80's culture, or maybe they ignore the date timeline and their Broadway show is running now (It's like Cats!) or it means the creators' favorite characters and Jill, Bill and Gil (which for one time bit parts are fun). Also if Rowlf is missing have they asked Jimmy Dean? Have they checked the hammock at his house? This anthology series that takes a unique look at beloved films—including Pirates of the Caribbean: The Curse of the Black Pearl, Mary Poppins, The Muppet Movie, Tron, and Who Framed Roger Rabbit—through the props and costumes (now modern ‘artifacts’) that made them unique. We’ll hear from the craftspeople who created them, the actors who interacted with them, and the collectors/archives who own and cherish them in the show, which will be hosted by film historian/collector Dan Lanigan." Froggy Fool and DMHFan like this. 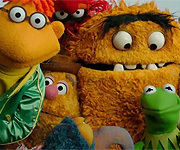 Do you think Muppets Tonight, Muppet babies (80´s version) and The Muppet Show will be available on Disney+? Maybe. But if TMS is included, it may have to be uncut.